This is a great new listing at one of our most popular condos! 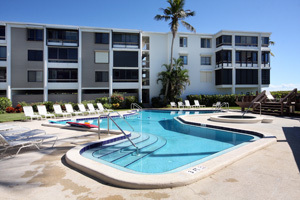 Nutmeg Village is located at 2777 West Gulf Drive - directly on the Gulf of Mexico! This is a first floor condo with views of the pool and Gulf. Nutmeg offers tennis, shuffle-board, a large pool with deck, under building parking, and miles and miles of Sanibel's famous beach! The landscaping is beautiful. This is unit 105 and it's being offered furnished with some exceptions. You can just pack your toothbrush and move right in! The views are stunning and the condo is true comfort and style! This two bedroom, two bath condo was thoroughly remodeled and renovated, being designed for graciousness and comfort. The kitchen has been opened up has the best in counters, cabinets and appliances. The lanai is now part of the living space with the sliders removed. The open flow makes it feel like home from the moment you walk in. 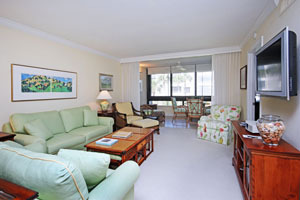 This condo should definitely be put on your "must see" list if you are interested in Sanibel living at its best! Give me a call at 239-691-4915 or use my contact form for more information about this great listing! 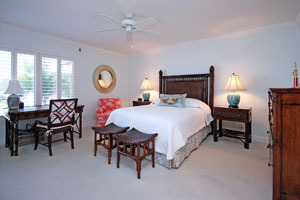 Nutmeg is always a favorite and if you have been looking for condos on Sanibel, this one will fit all your criteria! You can tell I'm excited about this unit - location, location, location!